“There was a very loud noise, lots of screaming, and a crowd of people running a[nd] sprinting for exits,” describes witness Alicia Porter on Twitter, on the scene of terror at the Westfield mall in Stratford, London, today. 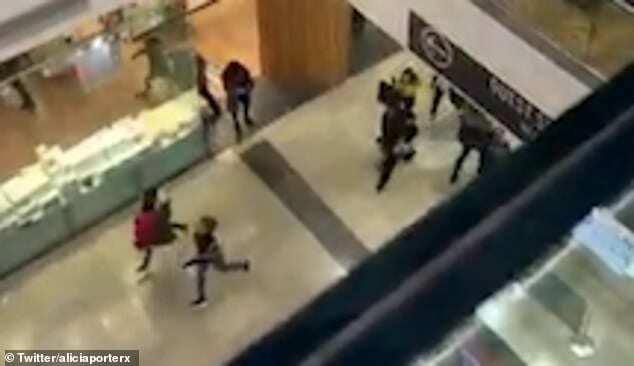 Shopper could be seen running and screaming as a man wielding a knife caused a scene of terror at a Westfield shopping center in the middle of busy Boxing Day sales. Dozens of police officers descended upon the center in Stratford at 4:30 pm today. They arrested a man on the ground floor after a stop and search revealed he was carrying a concealed knife. The man is in custody and being questioned.